Ingredients for an uber-romantic, yet fun love story: date in high school, rekindle your romance almost 10 years later, overcome a few fears for your love and enjoy Prosecco together on the regular. 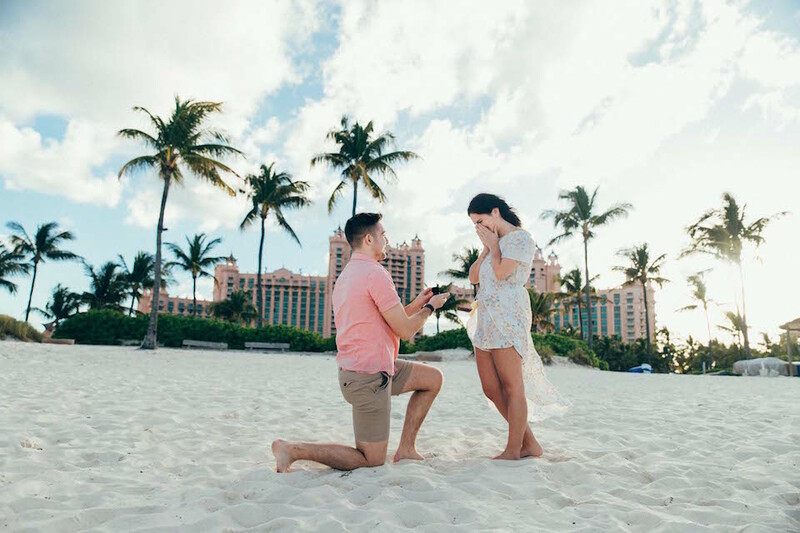 Read on for Andrew and Lacey’s sweet proposal story. “Andrew and I met in 2006 when I was a freshman and he was a sophomore in our high school yearbook class. I instantly knew that we were going to get along and be friends when he sat down beside me. We dated on and off all through high school. You could say it was a typical Cory and Topanga meets Mississippi backroads relationship where it was nothing typical and always entertaining. “After two months of phone calls and Skype meetings with the incredibly talented Tedi at Flytographer and photographer Michael, our trip to Chicago was here. My mom traveled with us from Memphis to go visit her friends, which helped because I was able to hide the ring in her luggage without Lacey finding out. Our first day in Chicago, we landed super early so our day full of sightseeing was jam-packed and at every moment I was paranoid that she’d find out the plan. At dinner Saturday night, we decided for a casual night at Gino’s East, so she could try Chicago deep dish pizza. We’re Prosecco-holics, so we ordered a bottle with our pizza and being the paranoid person I was, I thought for sure that she had figured it out, especially when our shared iTunes playlist seemed to be the restaurant’s background music. “On Sunday morning, I told Lacey we had a full day ahead, which included brunch at the Walnut Room inside the State Street Macy’s, a Christmas tradition for thousands each year, a trip to Lincoln Park Zoo and then some other things were in store. After our brunch at the Walnut Room, we slowly made our way to the zoo where she mentioned that it seemed silly how dressed up we were to be at the zoo. I was running thirty minutes too early from what I told Michael, our photographer, so we made our way through the hot as hell indoor conservatory which was like a sauna and didn’t help with my nerves. After I pretended to be interested in thousands of fern species, we made our way to what I called ‘my favourite spot to take a Chicago selfie’ and took our pre-proposal shot. 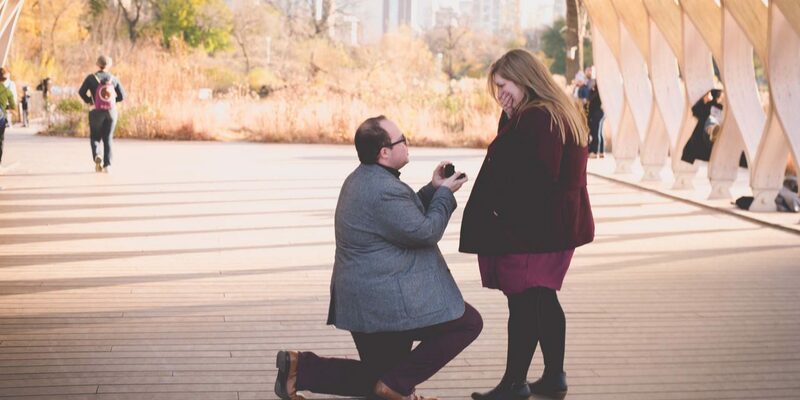 “We made our way through the nature boardwalk and stopped just before the proposal spot. The photographer and I made eye contact and she turned around before I could ask her to take a picture of the skyline. I told her we needed to move inside for a better shot and then got on one knee and said, ‘Our love is the greatest adventure we could go on. Let’s start our next chapter and get married. 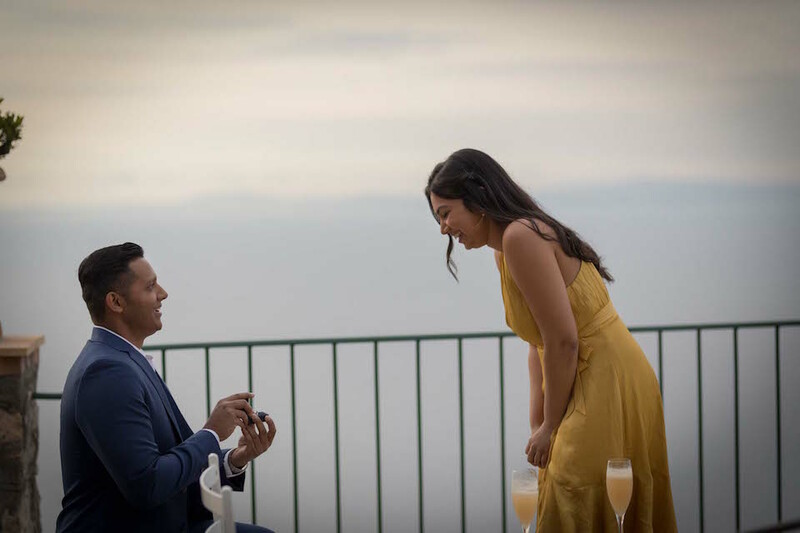 Lacey Lee Wheeler, will you marry me?’ Shocked and in total disbelief, Lacey said ‘Yes!’ as I pointed out that Michael, our photographer, caught every moment on camera – a must for planning a proposal.